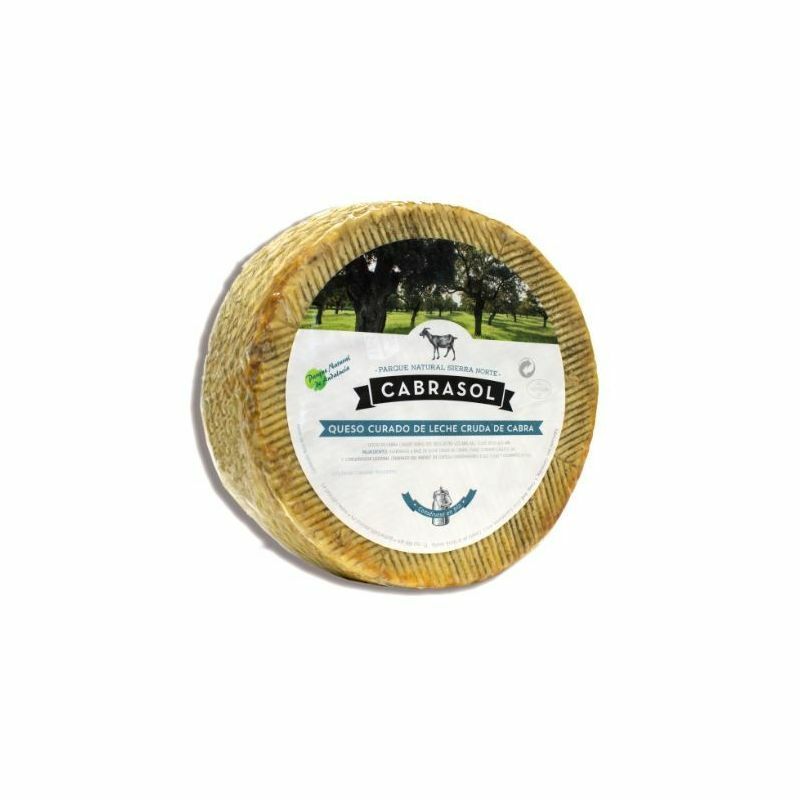 Cabrasol seasoned goat cheese is processed and it is winner of the bronze in the international cheese competition World Cheese Awards held in the UK. 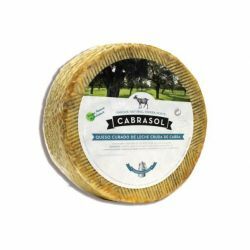 It is produced in the area of ​​Seville with Florida goat race raw with smooth rind and a maturation period of between 2 and 4 months according to the piece’s size. This type of cheese has a compact design and an ivory color with intense notes of pure olive oil. From MyJamon.com we recommend that the consumer temperature should be between 20 ° and 25 ° C, would be ideal not store the product in the refrigerator as it may lose quality. The approximate weight is 3 kg format. This seasoned goat cheese, bride honey sugarcane very well, as well as the Iberian sausages, especially with Iberian ham Cebo or acorn-fed ham (available in convenient packages or the entire leg). Great gourmet gift for any cheese lover that love the intense flavors of Seville and Andalusia.